In 2016, jeweler’s Mohedano is celebrating its 60th anniversary. Since 3 generations there is still the same desire and passion for gemstones and also a great skill in fields of jewelry made to measure not forgetting advices about your choice. Getting a jewelry makes someone happy and brings a lot of joy . It is also a way to celebrate an emotional moment of your life and mark this one by a unique or a very valuable piece. That is how Mohedano estimating their jewelry. Advices and quality are the heart of their approach. José Mohedano is the successor of Diego. He improved both engagement rings and wedding offers. He confirmed the place of jeweler’s in Toulouse and beyond. Expertise in diamond, colored gemstones and creation contributes to the renown of the House. In 2016, Mohedano is celebrating its 60 years existences and the arrival of the third generation with Marie-Laure Mohedano. Does her name predestinated her to take over the business? Anyway, the business was passed on to her, hand in hand with her father. To support her, a qualified team which includes a lapidary and a gemologist, is there in order to guarantee a quality service that meets the customers need. 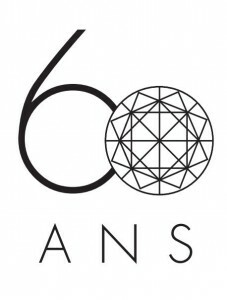 60 years of existences and the jeweler’s seems to be as young as before. A lot of pleasant projects are coming, the head full of dreams, exclusive events dedicate to the customers especially for this anniversary. And last but not least, a perfect code of conduct to make durable this beautiful family history.